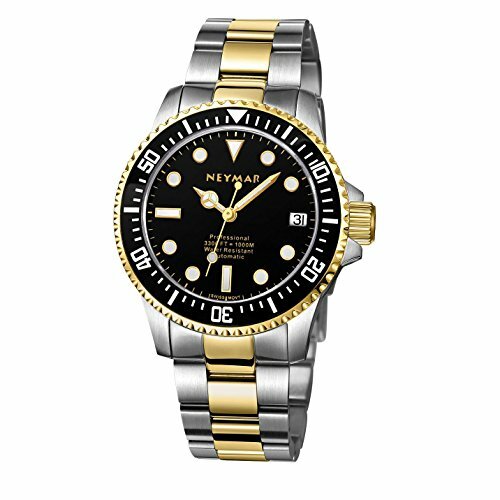 Product Description - Case size 31 mm, strap 16 mm, all stainless steel; Central second indicator; - Date indicator at 3H (quick winding with the crown on 3H at Pos. 1 clockwise rotation); - High quality automatic movement ETA 2671; - Professional one side rotating bezel system; - Super BGW9 luminous; - WR 500m ( 1640 feet ) water resistant; - Domed thick sapphire glass; - Screwed bottom "screw down case back cover"; - High quality diver metal Strap. If you have any questions about this product by NEYMAR, contact us by completing and submitting the form below. If you are looking for a specif part number, please include it with your message.